For the first time ever on Combo Smite, we managed to get a game against Trolls! Woo! Todd, a recent addition to our local weekly game nights and a Press Ganger for the London Area (“Gingerstein” on the PP Forums), is a Retribution and Circle player by choice, but he’s dabbled in several other factions… and for this week, he decided to try out Trolls for the first time! Sweet! 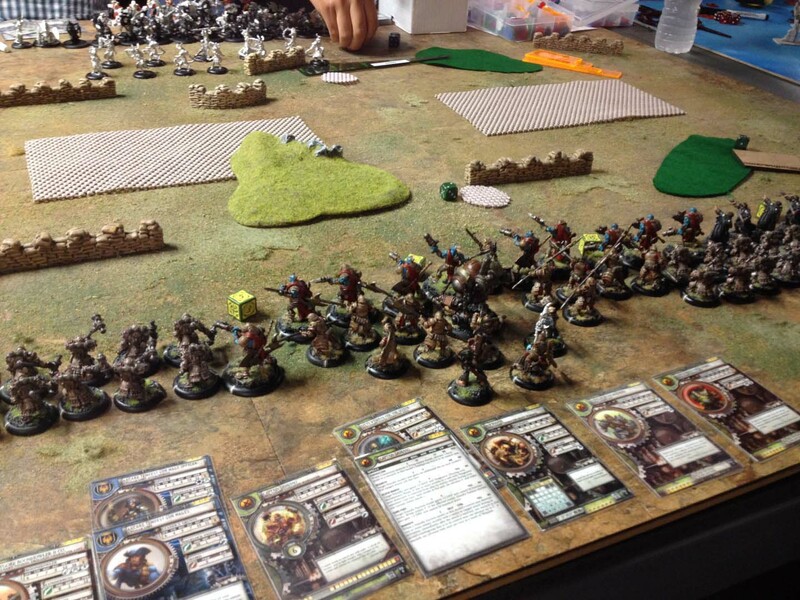 I jumped on the opportunity to play against trolls… I was trying out two new warcasters in Menoth, and out of all the Factions, I have the *least* practice against Trollbloods, and I suspect that they’re one of the hardest match ups for Protectorate, and the only way to get better against a Faction? Practice!